November Birchbox 2016 - Shake Your Tail Feather! It's that time again where Birchbox ship out another beautiful box to their subscribers. 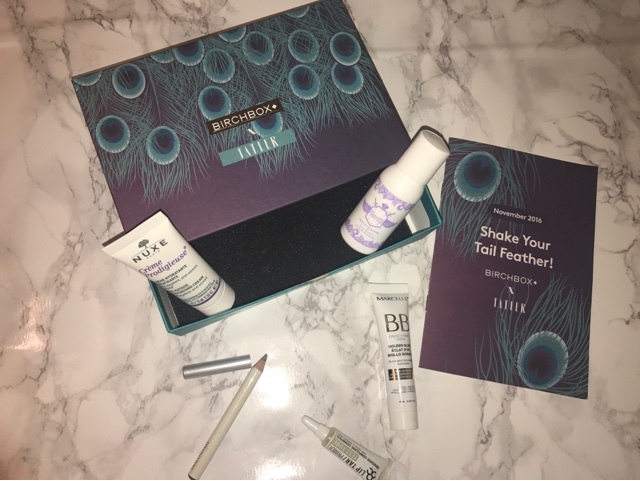 This month, their collaboration with Tatler sees the "Shake Your Tail Feather" box, detailed in a vivid, green box complete with peacock feather design. Filled with some top products to get us prepped and primed for the party season, November's box contains everything I need to be Christmas party ready! 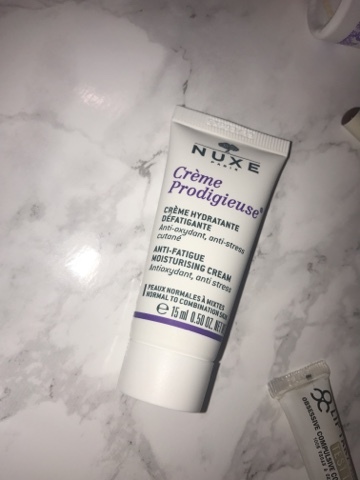 Nuxe are one of my favourite brands I have tried from Birchbox. This cream is favourably used first thing in a morning to awaken your complexion. Packed with antioxidants, it left my skin soft and vibrant. 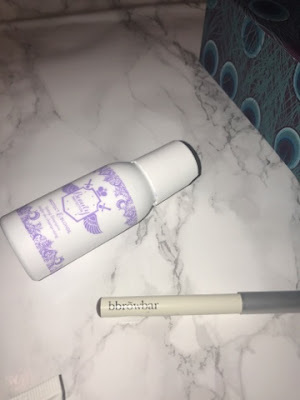 I am a firm believer in brow pomade so for me this brow pencil doesn't cut it. It applies very lightly and requires pressure which I don't enjoy in a pencil. However I like that it's an ash blonde tone and I have used it near the start of my brows to create a lighter, less heavy look that mimics hair. OCC is a brand I have been wanting to trial for some time but haven't ever purchased so I was excited to receive this. It didn't fail to impress. My lips felt moisturised but not slimy and held a bold lip well. Peppermint oil is within the primer which is brilliant to soften. I was surprised when I opened this because I thought it would be either clear or a pale shade. It was fairly dark and almost looked like a liquid bronzer. A little dark underneath my current fair foundation but will be more suited to my skin when I am wearing a tan during party season. 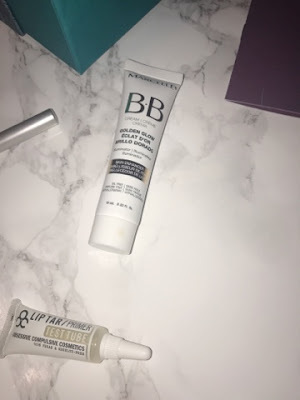 Applies smoothly and easily to the skin underneath makeup. I have previously purchased the hair detangler from this range - I cannot get enough! The scent and overall effectiveness of this brand never fails. Smells beautiful and even though currently my hair is a darker blonde for winter, my hair was left lifted and without any brassy warmth.